Is LG ready to offer another set-top box with more than just Netflix functionality? Netflix, the world's largest mail rental service, has announced a partnership with LG to offer movie rentals through a set-top box, while bypassing the need for a computer. So far, neither company has offered any pricing details, but have announced that the collaboration will be based around Netflix technology embedded in a networked LG set-top box planned for release sometime during the second half of 2008. "Consumers crave compelling and immediate content, and the Netflix online streaming movie feature can provide instant gratification. This alliance underscores LG's goal of developing smart technologies that deliver flexibility, convenience and control to consumers," said KI Kwon, President of the Consumer Electronics Division of LG Electronics USA, Inc. The deal between both companies is not exclusive, according to Netflix and the rental company says users will be able to download 6,000 movies and TV shows delivered over the Web on the first day of availability, with more titles offered as time goes on. 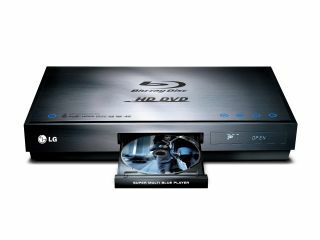 Both companies have confirmed more details will surface next week at CES 2008, but reports suggest the LG player could offer more than just Netflix functionality, while others have reported that the new box could also include Blu-ray playback. So far, neither report has been confirmed.